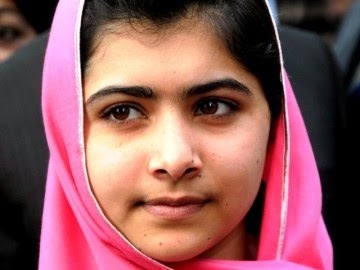 A girls’ education campaigner, who was shot by the Taliban, Malala Yousafzai, is expected to be in Nigeria to campaign for the release of the schoolgirls abducted by Boko Haram, the UK Telegraph reports. Seventeen-year-old Yousafzai, who was an early backer of the #BringBackOurGirls campaign, is due in the Nigerian capital, Abuja, on Sunday. In addition to meeting relatives of the kidnapped girls, she is expected to seek an audience with President Goodluck Jonathan. Her visit to Nigeria takes place almost three months after the abduction of the girls, who were abducted by Boko Haram militants from a boarding school in Chibok, in north-east Borno State, on April 14. The presence of such a high-profile women’s rights campaigner will add to the pressure on the Nigerian government, which was accused in the early days of the kidnapping of not doing enough to resolve it.